Tonight’s poem isn’t a poem at all. Between my heightened level of exhaustion, some really unpleasant drama that’s kicking off in my life, and my inability to find a suitable news story, I have taken a foolish turn. Yes, that’s right, I decided to work with an article from The Onion. No. Really. And the results are … well … ridiculous. and adds no value whatsoever. That is, truly, the best I can do tonight. I guess I am the one who’s at an “uncomfortable stage.” Alas. I stopped at a bodega on my way home tonight. The man behind the counter asked me some silly question, and my answer let him know that women my age don’t get up to such nonsense. He looked stricken. Because you know, in my book, my being middle-aged does not in any way impact the fact of my beauty. I told him as much, said I was well aware that I’m beautiful, that I had simply been pointing out that I am also old. Again, he had the stricken face, told me not to speak so harshly about myself. He just stared at me. He couldn’t process my comfort with myself, so he gave me three bananas for free. Seriously. He insisted I take them. 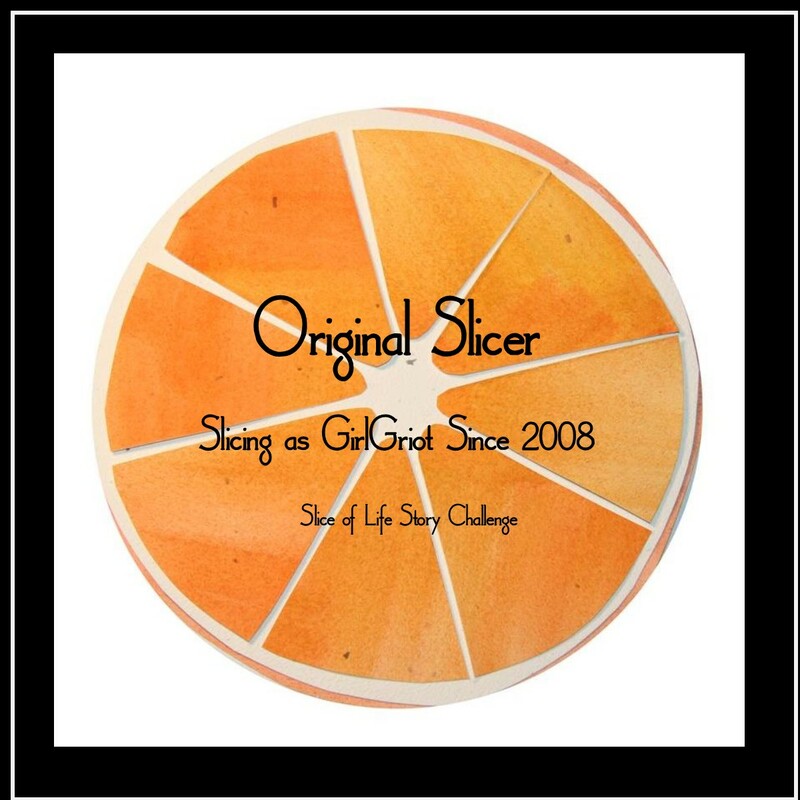 to see what the other slicers are up to!